Dream House isn’t just inept, it’s downright handicapped. Produced with a story that hinges on a botched contract killing, it’s a wonder how no one, anywhere on the crew or cast, didn’t think this through. What hired gun goes into a contract without ever seeing a picture of the victim? What disgruntled husband gives vague directions like, “second house on the right?” Does the home in question not come equipped with a number? By that point of Dream House it’s all but over anyway. Whatever interest was generated by a twisty second act has long since been lost. At 90-minutes, this should come across as a punchy, precise thriller. 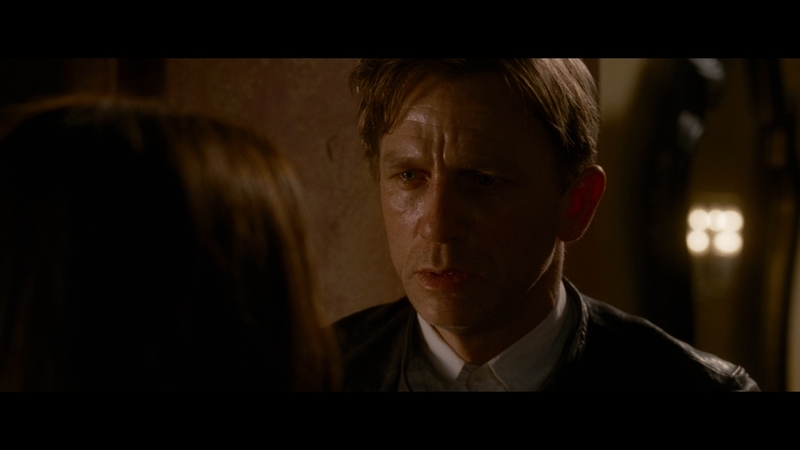 Instead, it carries the mental length of a three-hour epic as Daniel Craig seems bored as the static family man, pulling the same coy, reserved performance usually reserved for his controlled heroes. The entire second half begins to contradict the first, one of those narratives that could have been cleaned up if just one person spoke the truth. Somehow, someone found that to be smart screenwriting. A eventual reveal of the truth has protagonists willing expressing their mistake from five years prior, and right in front of the people who could condemn them in court. Its exposition the piece wasn’t wise enough to squeeze in anywhere else. Dream House likes to pile on distracting events and curve balls to avoid playing its hand, but instead creates mounting confusion or clear signs that it’s all just a play on the audience. What cop would casually drive away from a home that was nearly driven through by a madman just because the owner was in a panic? Isn’t that something that requires a report? 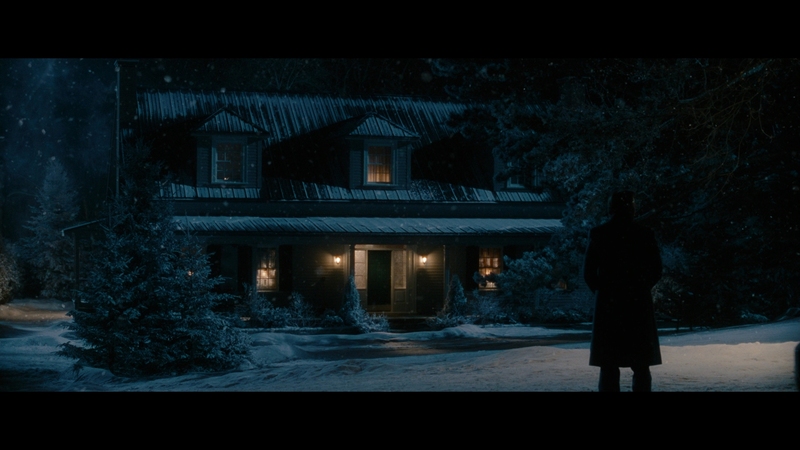 Dream House does stuff like that, even if it’s just for the hell of it, as if that builds any sense of mystery. All it really does is solidify the stupid. There is a premise here; the idea, if nothing else, is uniquely structured and potentially powerful. It’s one of those that needs a distinctive presentation, careful planning, and less alienating gimmicks. There’s a reason why the film doesn’t want to know the truth, but none for why the characters can’t reveal it. When it’s all said and done, there’s a likely reason the first half of Dream House looks like an absolute wreck. That something is spoileriffic, although even when all is revealed, it doesn’t quite click as it should have. On the disc, direction Jim Sheridan discusses his penchant for physical effects, yet the entirety of the first 45-minutes are bathed in clear digital manipulation. This soft, flat, and smooth appearance makes it seem as if Universal’s DNR button had been installed in the new release department as well as the catalog room. Grain is rendered obsolete. It doesn’t help that Sheridan’s chosen look is an illogical, stingy orange and teal, turning these otherwise beautiful snow covered exteriors into something that looks like they’ve been covered with blueberry Kool-Aid. Flesh tones are obnoxiously orange and the smoothing makes people appear as if they’re comprised of chalk. Primaries feel stifled and rarely have a chance to escape. How not lovely. By the time the back half allows a different visual precedent to take over, much of the visual appeal has been lost. Facial detail is finally a presence, even if it’s all over the place in terms of consistency. Certain close-ups are mesmerizing in their ability to resolve the finest textures. Medium shots never quite find a comparable groove, although long shots of the home offer some pleasant resolution. Black levels get a pass here, capable and respectful of shadow detail. Contrast works the other half with only a marginal bite, white feeling a little clipped for the sake of the obnoxious color palette. The VC-1 encode keeps itself on the high end of the compression spectrum, never producing any visible signs of its existence. The translation to disc doesn’t seem to be at fault, at least not in any obvious form. Other than a few lines of clearly dubbed in dialogue from Daniel Craig, Dream House maintains a clear path to its center-focused lines. Aside from moments where the stereos are employed to spread things out, there’s little going on of note. The DTS-HD mix is then saving for the finale, a fire fueled bass-fest. Flames sprout up with an intense low-end roar, a lighter, gentler rumble keeping them active. Eventually, there are explosions, a house shaking type of moment that’s hard not to appreciate. Crisping interiors capture a precise placement of the fire, burning walls and the like crackling in each channel. Everything else is typical, a moment of ambiance here and a broken branch as someone is sneaking around the house popping into the right rear. Elements play well with each other and the dry score doesn’t carry much oomph. It hits when it counts. Burning Down the House marks the first bonus, a brief three-minute tour of the finale and the controls put in place to keep safe. The Dream Cast is a documentary about Sega’s final video game console… err, it just praises Craig and others for six minutes. Building the Dream House details the complex construction of the home in its various forms. It’s the best thing here at five and half minutes. A Look Inside is nothing more than a promo. A trailer, D-Box support, and BD-Live access are left.